Is it safe to feed my horse or pony grass clippings? Horses should never be fed lawnmower clippings. Although horses eat grass lawnmower clippings should never be fed to your horse or pony this is because grass clippings are fermenting. Fermenting grass clippings give off gases which can build up inside the horses stomach and cause colic and other gastrointestinal disorders. Horses are unable to vomit or burp and in some cases the gases can build up to such a point that they can actually cause the stomach to rupture and kill the horse. "For God's sake... please think carefully before making yet another foal." 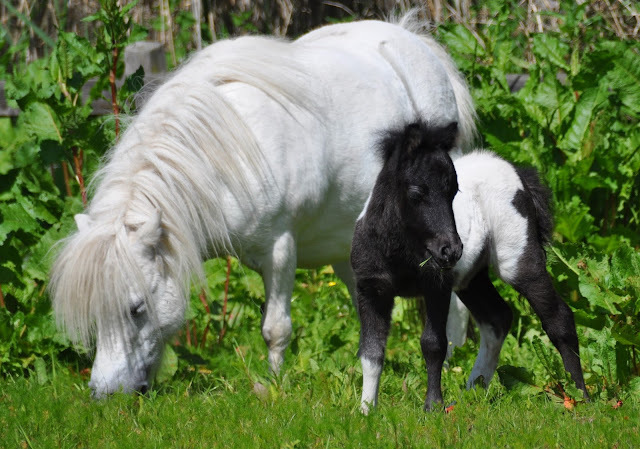 The author of the book "Shetland Pony", Troels Dalberg, makes a point of asking all of us to please think twice and carefully before breeding yet another foal. 'Foals, and especially Shetlands, are cute and adorable. Many seem to have caught some kind of Sheltie-foal-bug breeding far more ponies than any market can absorb. "It is sad", say Troels Dalberg, "that so many Shetland ponies are sold on and on and in far too many cases end up in need of rescue. I welcome and admire the great work of the many equine rescues helping to save these sad lives, however, there are more than enough ponies in need of help. Everything we see that physically surrounds us was once a thought, an unseen manifestation. I always ask the question of what makes your heart beat? What is the force behind that? Energy. Just like electricity, you can’t see it until you plug in an appliance and it harnesses the power, which then enables you to be able to use it. We are energy, plugged into a human body. The body harnesses our energy to operate so that we can live in this physical reality. Our energetic body has seven main energy centres, known as chakras. Each one representing a colour of the rainbow. 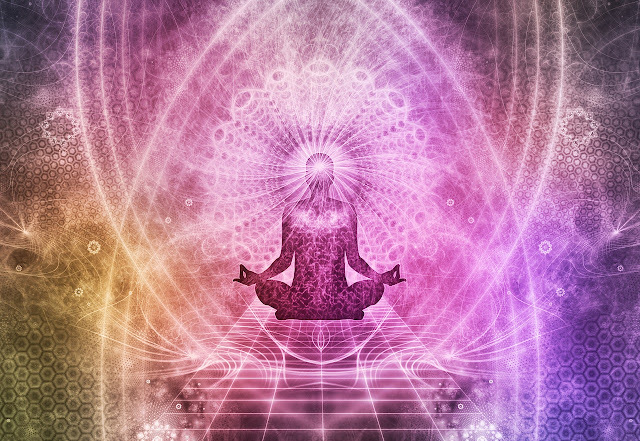 There are many more chakras but in this article I will be focusing on the main ones. Although they are not physically visible, from personal experience they can be felt and seen on psychic levels, sometimes by vibration, the swirling of energy and through the radiation of heat/cold. I would describe them as a vortex. 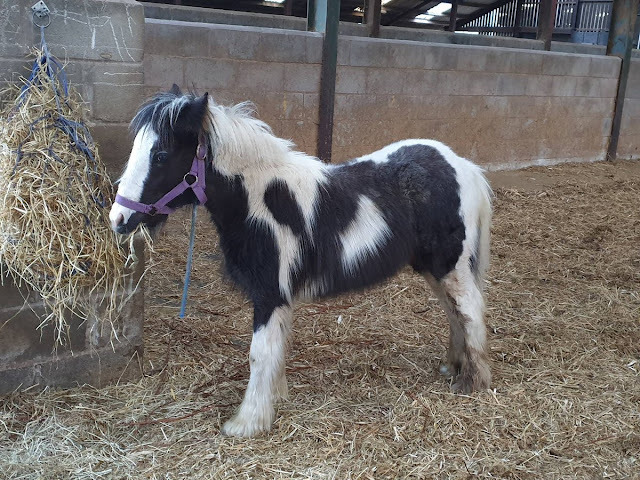 You may have already met Herbie, he was introduced to Ponyhour during the Twitter chat hour #Ponyhour last Tuesday. Bless him 4 months old, taken from his mother too early, a tight rope around his neck from tethering this foal was facing live export to Italy, a journey of thousands of miles with a horrific end. Luckily for him Horse Sense Wirral stepped in and he is now safe with the charity. Named after the first pony Horse Sense Wirral's founder, Amy, rescued in 2007, a neglected elderly pony who was found totally emaciated, crawling with lice and maggots, 4 month old Herbie has a large gorilla teddy to cuddle up to and is being fed mare milk replacement. He is going to need a lot of care to raise him from foal to healthy adulthood.